First and foremost – there’s a new album on the way! 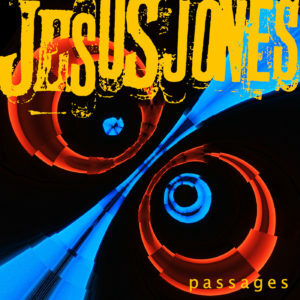 It’s going to be called “Passages” and it will be released in June. Why “Passages”? Well, according to Mike – “The album is called Passages because I like the variety of implied meanings that tie in with what the songs on the album are about: passages of time and journeys travelled, different sections in a life.”. It’s our first collection of new material since “London, over 15 years ago, and the process of making it has been vastly different – with Alan in the US, and all of us now spread farther across the country than we’ve ever been (Mike’s now moved again!) we’ve been collaborating across the net. Files have been zipping across the Atlantic for Alan to add his bass, Gen has been carting his drums to Mike’s place, and there’s a backing vocal studio set up in my spare bedroom. We’ve been working on this record with Pledge, and having a campaign has helped us raise some funds obviously, but it’s also had a much greater effect. It’s allowed us, humbly, to see just how many people out there actually want to see this album made and released. That level of enthusiasm is really inspiring, and it’s definitely pushed us towards making the record as good as it can possibly be. Hopefully you’ll love the end results as much as us! We’ve unveiled the artwork for the sleeve as well, made by our old friend and collaborator Richard Perry. For those of you out there old enough to remember the first ever JJ fanzine “All The Answers”, in the late 80’s, Richard was one of the people responsible for that, and he’s been in touch ever since, as a vital part of the Jones extended family. It’s great to have him working on this project. dtails, we’ll let you all know. So how’s that for an update? Pretty good, huh? It’s an exciting 2017 so far, and it looks like being one of the best years we’ve had in a long, long time!